Yep. The original B7 was developed for the first generation "no neck angle!" Les Pauls, even have the same mounting pattern on the hinge as that funny trapeze tail that strings under the bar. So it doesn't really work right for a regular TOM bridge Les Paul. The funny thing is that Bigsby/Gibson already did this at least once, the molds are possibly still in existance. 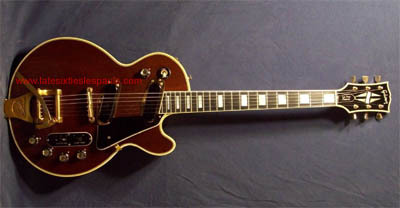 The late 60's/early 70's Les Paul personals came with a B7 variant that works better for a Les Paul.